I decided to see if the impossible could be done. 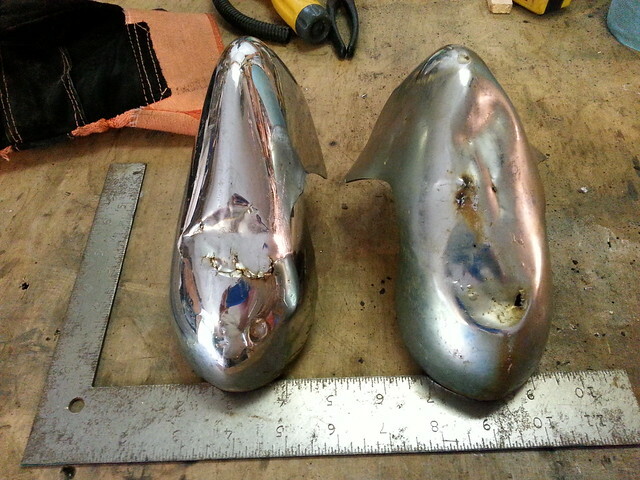 I sent these two and a second pair (Thank you Ali:) ) to a bumper restoration specialist in Knoxville, Tennessee. After stripping these down they informed me that they were basically scrap, but since I insisted that they were worth whatever the cost, they proceeded to rebuild them. 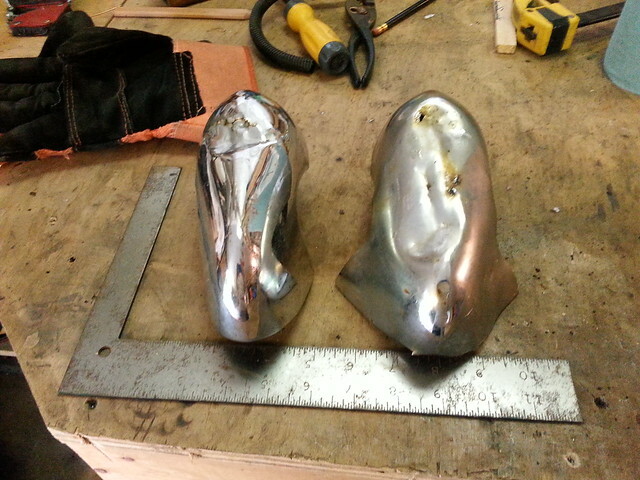 The second pair, although they looked fair, proved to have a number of rusted through spots, so they were welded up. They just finished the re-chroming on the full set and sent me some pics. Was it expensive? Indeed. Was it worth it in the end? I've yet to have them in hand to put on the car, but I'm well chuffed and I would say so far, that it was worth rescuing even these wee bits of Elf. I figure for essentially brand new overriders, $200 isn't that far wrong. The two less less awful ones were $75 each, which isn't at all bad if you ask me. I could probably sell them all day long for $150 each on Ebay. So hey, people, don't bin your old knackered nasty overriders! Send them to me! That's a stunning job that they did! They are back home! 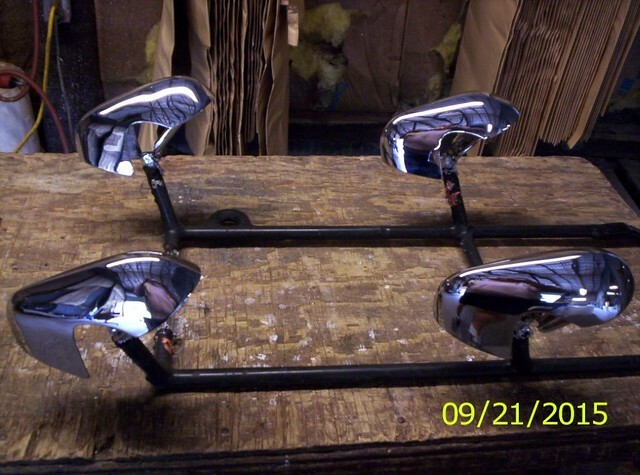 I can't even begin to say enough good things about Knox Custom Chrome, whose master craftsmen did the repairs. They essentially replaced about 75 percent of the metal and attached to what was left of the scrap. These things are too good to put back on the car! Getting the bumpers done to match the new chrome? 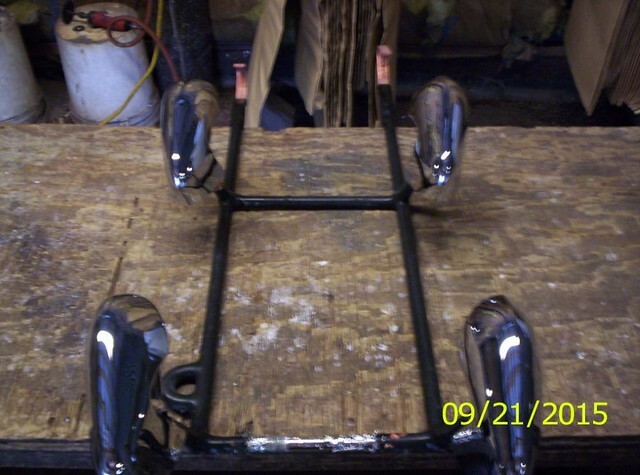 Jared Mk3 wrote: Getting the bumpers done to match the new chrome? No choice now that the overriders look so good! Definitely! That'll look so classy.